Hi all! I’m Meg Harding, and for those who don’t know me, I’m in love with hockey. 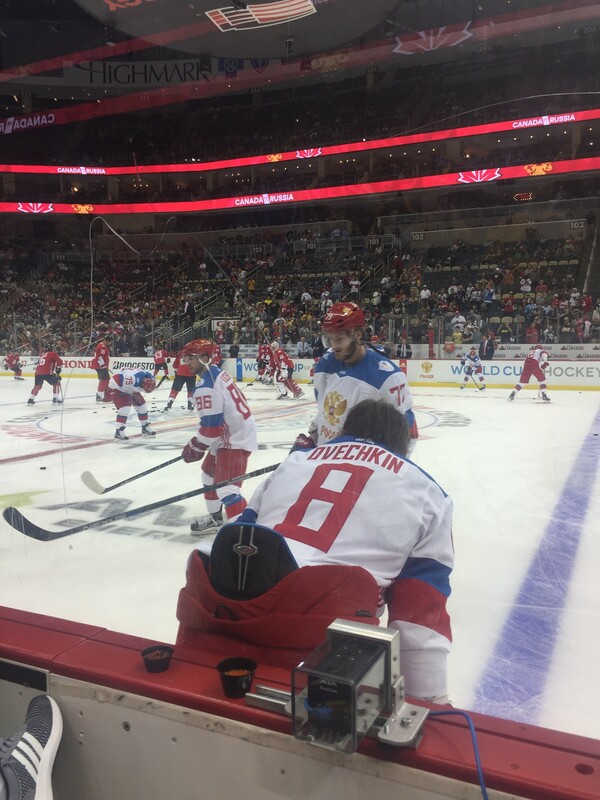 I was never really into sports before—I’ll casually watch tennis and that’s about it—but when I found hockey, well… it spiraled. So much spiraling. Not only did it provide me with a pastime, but it provided me with endless amusement (seriously, go watch some of the videos these teams post), a community of fellow sports writers and sports fans—a few of which I’m quite close to now, and it’s led to a lot of my recent traveling ventures. 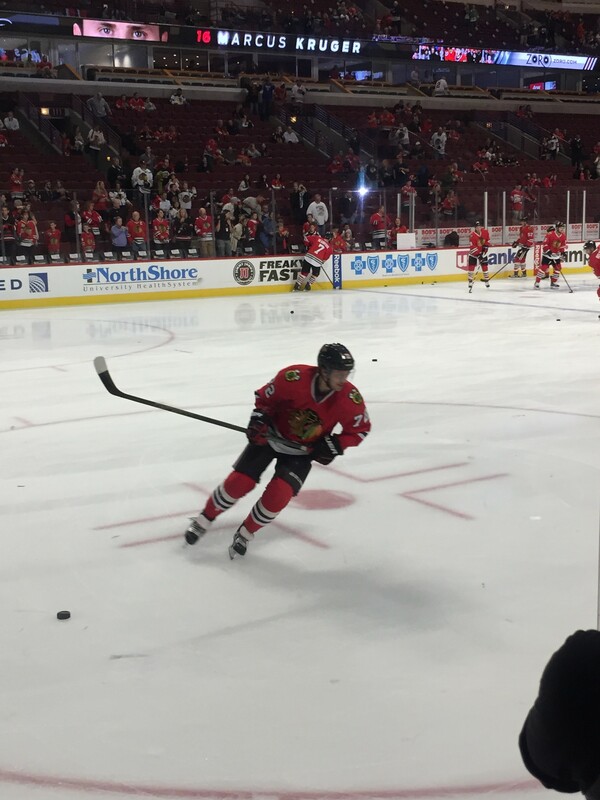 I’ve been to Pittsburgh for the World Cup, I went to Canada to watch a preseason game, I moved to Chicago in part so I could see the Blackhawks, and I’ll be heading to St. Louis today, actually, to watch the Dallas Stars! The sport, and the teams I love, have become a happy place for me. I wasn’t in the best mind frame when I first got into it, not really happy and just overall ugh about everything, and it became something that made me feel better. I’d watch it, I’d read books about it, to get away from reality. Honestly, I read more hockey fanfic than I do anything else. 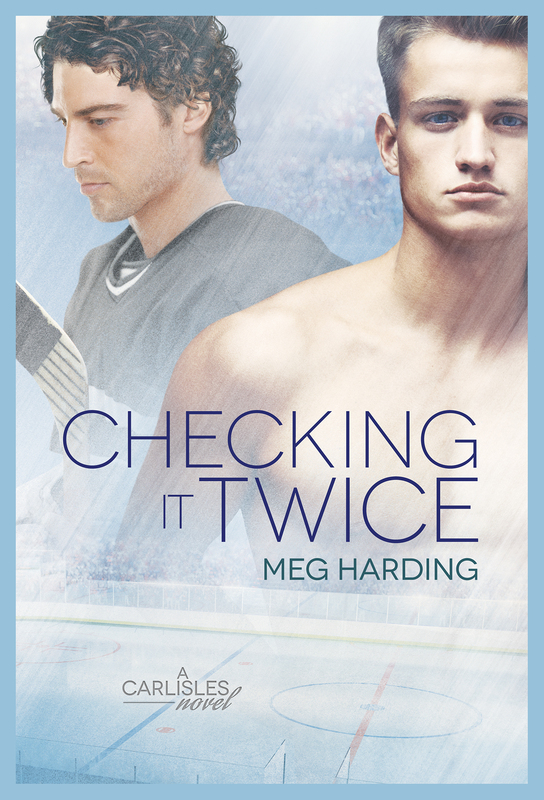 So, naturally, it felt right for me to start incorporating hockey into my books. It’s a subject I know well and one that I get a great deal of pleasure writing about. Checking it Twice, the third in my Carlisles series, is about a model and a hockey player. At the moment, the NHL has no out players, but they do have things like You Can Play and pride tape. Both of which are mentioned/explained in my novel. I wanted Checking it Twice to feature both sides of the coin, so to speak. The hesitance of being the first, but the support structure that is in place to help those who eventually take the step. It’s not a perfect world, and progress is something that’s still, well, a work in progress. But slowly actions are being taken, and one day… one day they’ll get there. Checking it Twice is just moving that one day to today. Running with the hockey theme, I’ll be giving away an ebook copy of To Arizona. Want to enter? Share what your “happy place” is. Is it a specific book or author? An actual place? A TV show or sport? What do you turn to for comfort? Check out Checking It Twice today! Congratulations on the new book release! It sounds like a great read. As to my happy place. I’m a solidary creature so I like a lone time to listen to music and read. So if I can find a little nook were no one will find me I’ll be just dandy. 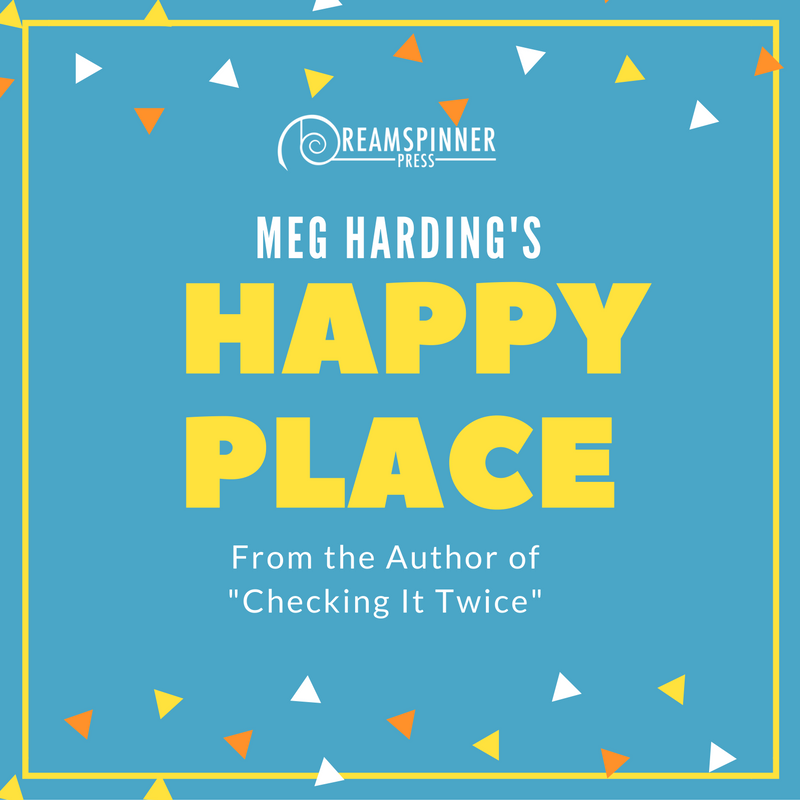 My happy place is my books. They can always bring me joy! Hockey trades are the worst! The Habs acquired a player I’m fairly attached to recently, and I honestly cried when he played his old team the first time, so I feel your pain. I’m glad you’ve liked them Your happy place sounds very peaceful! I think books are honestly one of the best “happy places” ever. My personal favorite thing is when something’s so cute/awkward and I get real second hand embarrassment/awwww for the character. That’s how I know it’s really good lol.